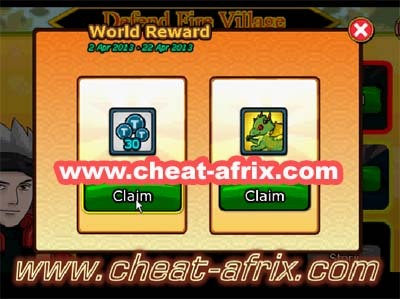 Deffend Fire Village Ninja Saga, Part 1 Cliam now, free 30 tokens and pet tamadama dragon, world reward next turn part 2, claim 30 token and stuff bunny (back item) effect: increase max hp 2% and max cp 4%, good luck event ninja saga deffend fire village 2013. Using air flow to create cannon ball, produce bleeding, effect ( 1 turns) (character take extra 6% damage under damage). Using air flow to create a wind blade 8% chance to produce bleeding effect (3 turns) (character take extra 6% under bleeding damage).